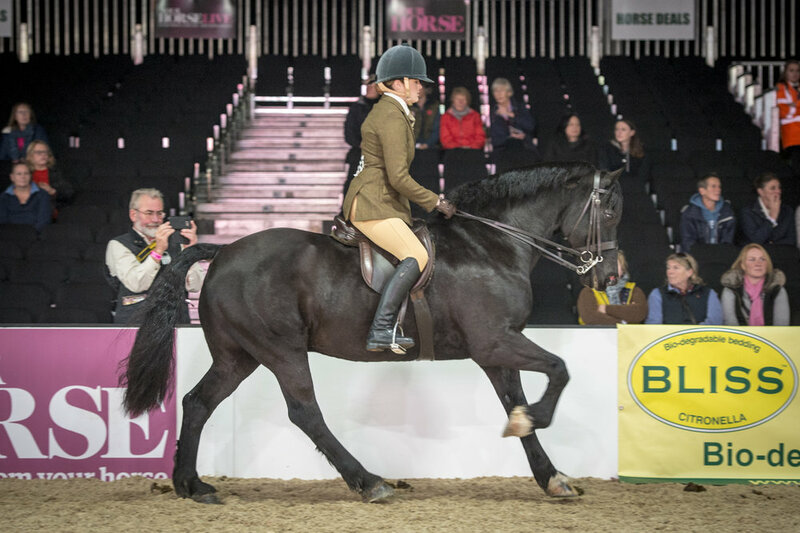 In a first for Your Horse Live, this year’s three-day show (9-11 November) hosted a showing competition and the first-ever SEIB Search for a Star mountain and moorland champion was crowned. Scroll down for a picture gallery of the champion and 14 ponies who were placed. Greenholme Falcon, ridden by Chantelle Chapman and owned by Victoria Oliver, stood champion. The Fell pony qualified at Bury Garm with Chantelle, who is only 13 years old. It is a particularly special achievement for her, as she only began showing this year . “This was an amazing experience. Anyone with an interest in showing should give it a go,” said Chantelle. “I’m so grateful for the support I get from my mum and stepdad — without them I couldn’t do any of this. “I can’t wait to get out to do some junior qualifiers next season. We will be practising over the winter, along with doing some other fun things like show jumping and hacking. 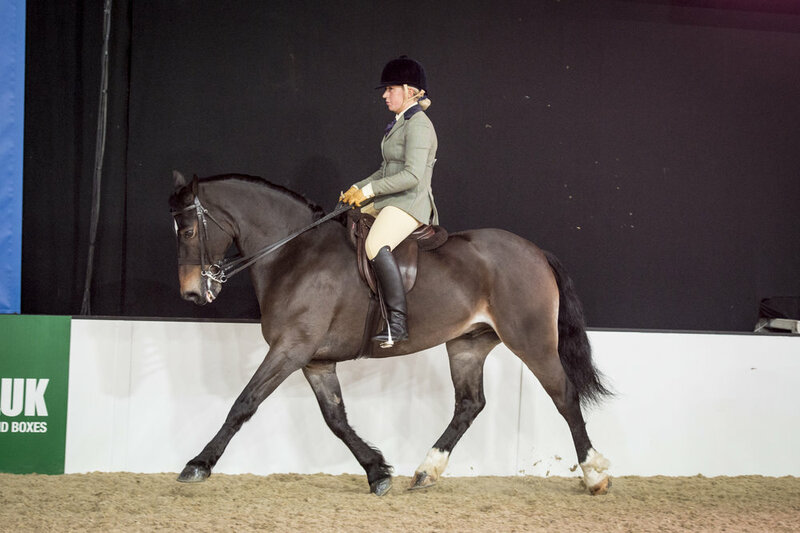 Buckland Romantic, a New Forest pony, finished reserve with owner and rider Emma Staton. Before this season, Emma competed with Kara, as she’s known at home, in dressage up to elementary level. Thunderbolt Bairy Robin Bambi filled third place. The connemara is owned by Suzanne White and ridden by Megan White. Megan brought Robin on herself after he came over from Ireland as a four-year-old. They have had success in BSPS classes. Owned and ridden by Karen Badrick, Sheir Whisky qualified at Vale View on their first attempt. Karen has owned the Welsh section D for two-and-a-half years, having bought him unbroken with plans to eventually sell him on. He now has a home for life with her. Kirstie Hinton owns and rides Dales pony Lowhouses Chesney, who took fifth place. 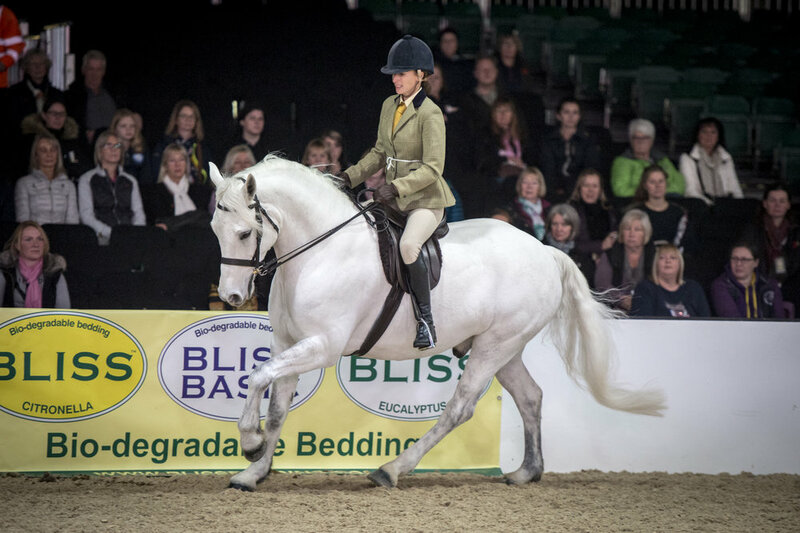 “Boris” was originally bought for Kirstie’s mum to ride, but both Kirstie and her sister Beth now ride him at shows. Pentrefelin Ladykiller took sixth place with owner/rider Charlotte Marshall. Charlotte has worked for the Royal Mail for 31 years, and her mare is the third Welsh section D that Charlotte has owned. Highland pony Dexter of Rocklea, seventh, qualified at Vale View with owner and rider Molly Broadley on their first attempt. Molly and Dexter have only been a team for six months, having sadly lost her traditional gypsy cob just two days before Christmas in 2017. Owned by Amanda Batey and ridden by Philippa Dawson-Coates, Dales pony Westwick Sam qualified for the championships at Osbaldeston. Amanda bought Sam as a foal and does lots of endurance riding, but doesn’t enjoy competing so hands the reins over to Philippa to ride him at shows. Lochan Beag Rogaire, owned and ridden by Rebecca Giles, is a Connemara who collected her Your Horse Live ticket at Vale View. Rebecca fits in riding and competing around working as a Class 1 HGV driver transporting livestock and being a part-time swimming instructor. 10th-placed New Forest pony Buttslawn Merlin is owned and ridden by Laura Kemp. The pair qualified on their first attempt at Bury Farm. Welsh section D Gobell Idwall, who filled 11th place, is owned and ridden by 19-year-old Ella Smith. 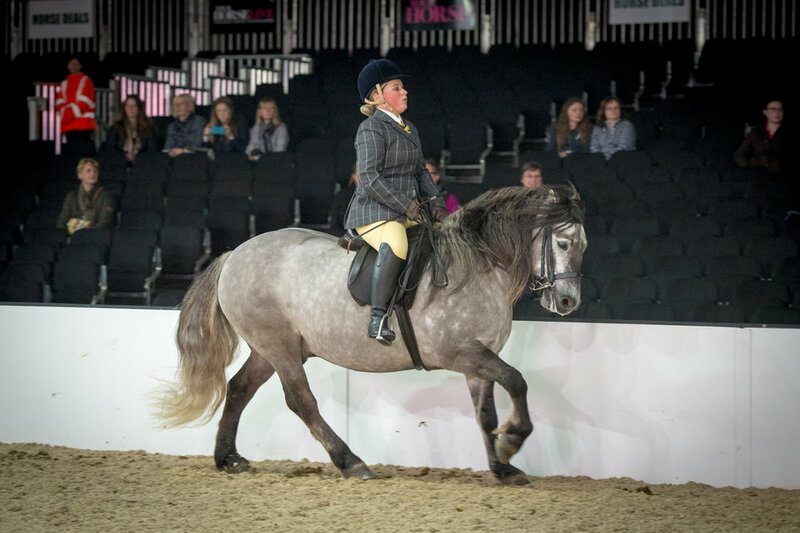 The pair came to Your Horse Live after qualifying for HOYS in the Search for a Star Working Pony Final earlier this year. Winwood Tigers Eye, 12th, is owned by Margaret Burrows and ridden by Hanna Garner. Tiger was nearly put to sleep in 2015 following a severe bout of laminitis, but adjustments to his daily routine means he is still able to live a happy and healthy life. Connemara Maicin Funambule is owned and ridden by Katie Vickery, who fits in horses around looking after her two young children. Before contesting the Search for a Star series, Katie competed up to Foxhunter level in showjumping. 14th-placed Eastlands Banker, owned by Emma Howard and ridden by Alicia Gee, qualified at Alnwick. Alicia and “Bertie” also compete in working hunter pony classes and enjoy cross-country. The SEIB Search for a Star series is designed for amateur riders and their native ponies. 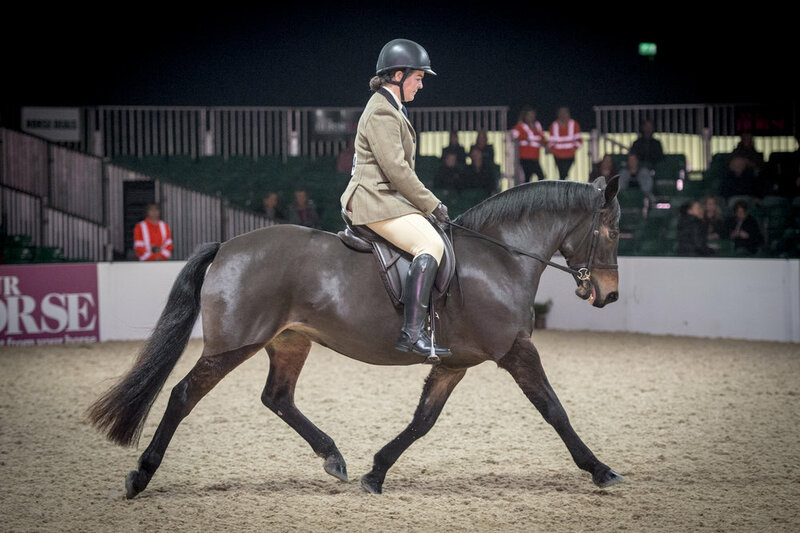 The final at Your Horse Live, on Friday 9 November 2018, was judged by Mathew Lawrence (performance) and Sandy Wooderson (conformation). After a go-round, the ponies lined up and were presented one at a time for an individual show. They then had their saddles removed and were presented to the conformation judge, who watched them being trotted up in-hand. Each pony was given a score out of 100: 50 for conformation and 50 for performance. 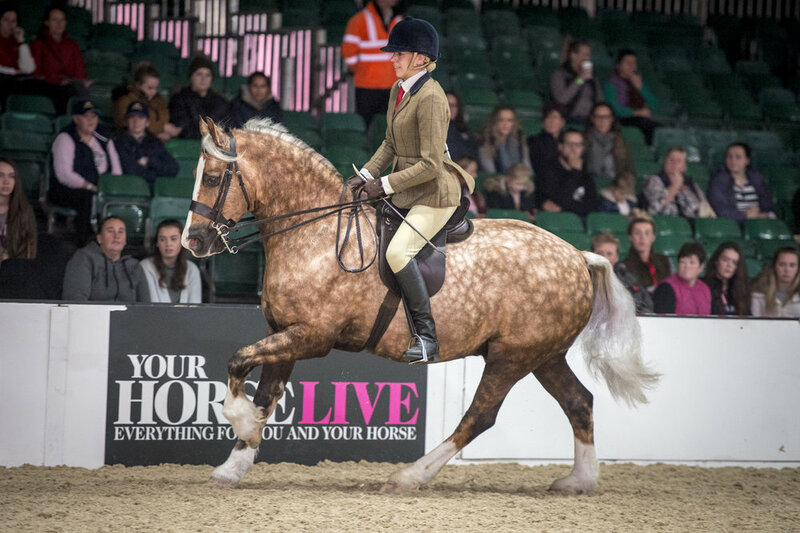 Don’t miss the Your Horse Live round up, including our Review of 2018, in the next issue of Your Horse magazine — on sale 13 December 2018.